The rise of the Information Age has put librarians in more demand than ever, according to this recent article in the Wall Street Journal. 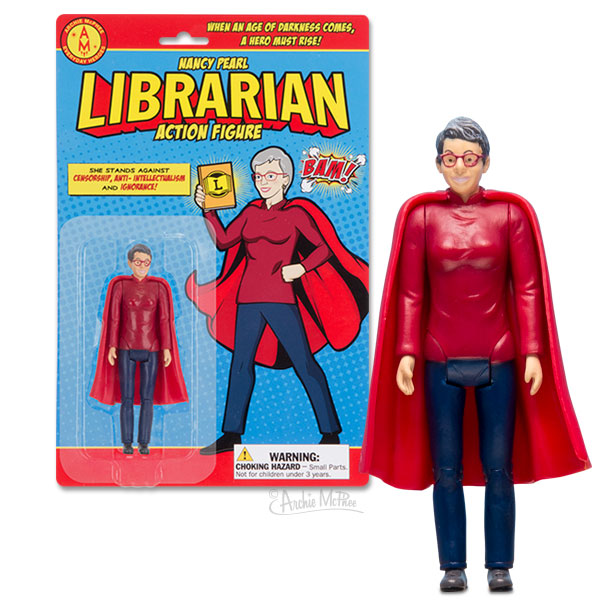 It simply makes sense that a librarian action figure would pop into the market, tiny red cape and all. This one is particularly special because it's fashioned after a real hero, librarian Nancy Pearl of Seattle, Washington. You can pick one up over at Archie McPhee for $9.95.